About Us - MJC Industrial Roofing Pty Ltd. 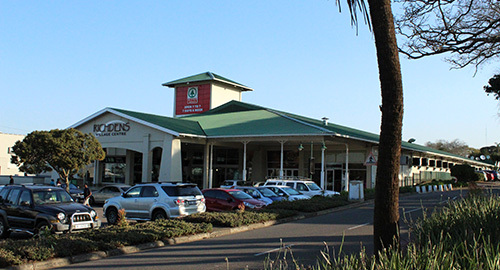 The company has been in existence in Kwazulu Natal since 1981. With over 30 years experience in the roofing industry, we have every solution to your roofing query. 1968 a young Sam Baloyi, joined the company while Cheater was recruiting labour for a job in Johannesburg. Baloyi travelled the country working for Cheater thereby gaining extensive knowledge and experience in the Roofing Industry. With his assistance in training up teams, the company grew and later expanded to Durban, where in 1987 Raymond Smyly joined the company. Born in Durban and schooled at Glenwood, later studying civil engineering and qualifying as a draftsman. In 1994 Cheater wanted to retire and this opened the gates for Smyly to take over the company. With the help of Business Partners, Baloyi and Smyly obtained the loan to purchase the company. With Baloyi’s experience and Smyly’s knowledge, this amazing team took on the challenge of some Mega-projects, which allowed the company to establish its well known and respected name in the roofing industry. In 2013 Sean Pedersen joined the company as a contract’s manager. A year later the young and vibrant Mkululi “MK” Notshweleka joined the company as a Site Agent. Together they had the vision of running this magnificent company, upon Raymond and Sam’s retirement. This opportunity presented itself in March 2016 by way of a management buyout, the current directors Sean Pedersen, Mkululi “MK” Notshweleka and Grant Fullerton, bringing their experience from the main contracting (Civil and Building) Industry, took over the company, renaming it MJC Industrial Roofing with the vision to grow the already successful and quality company from strength to strength.